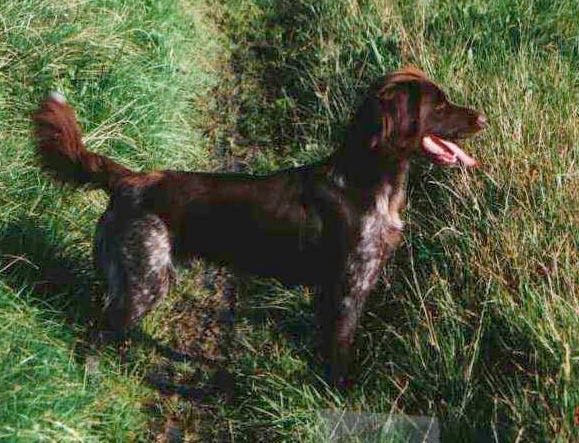 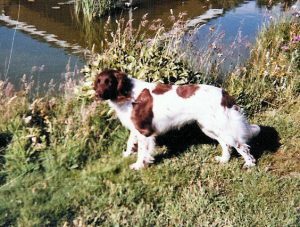 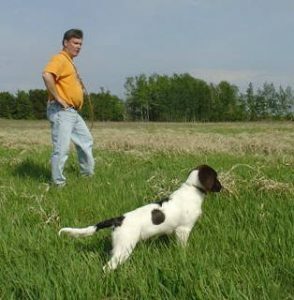 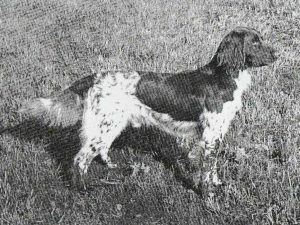 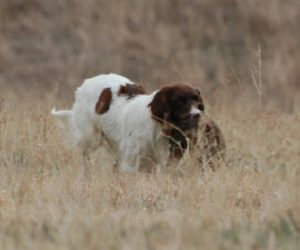 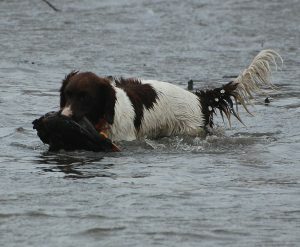 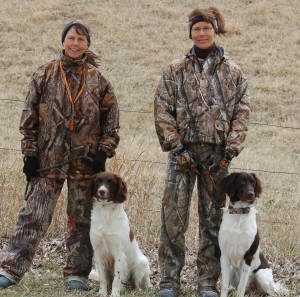 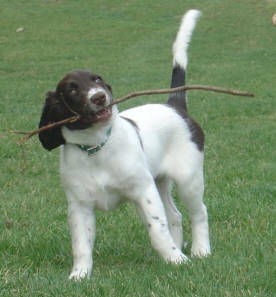 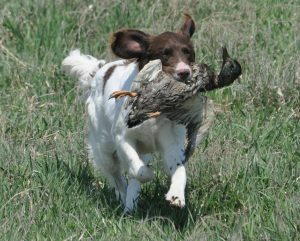 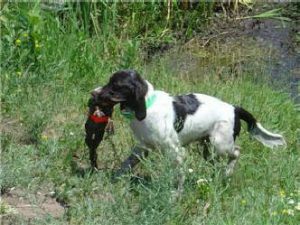 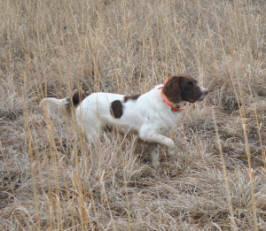 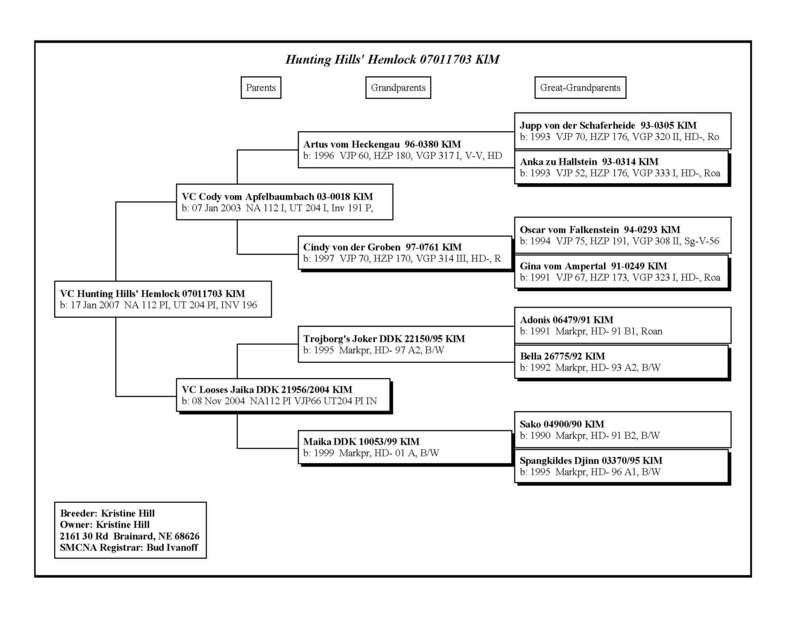 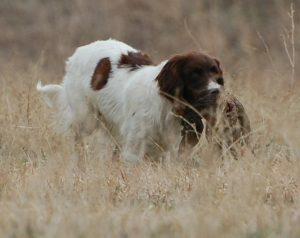 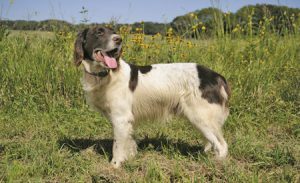 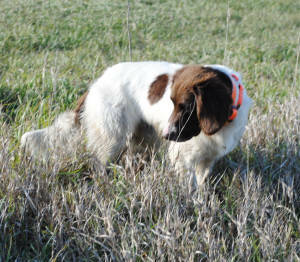 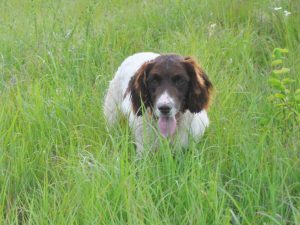 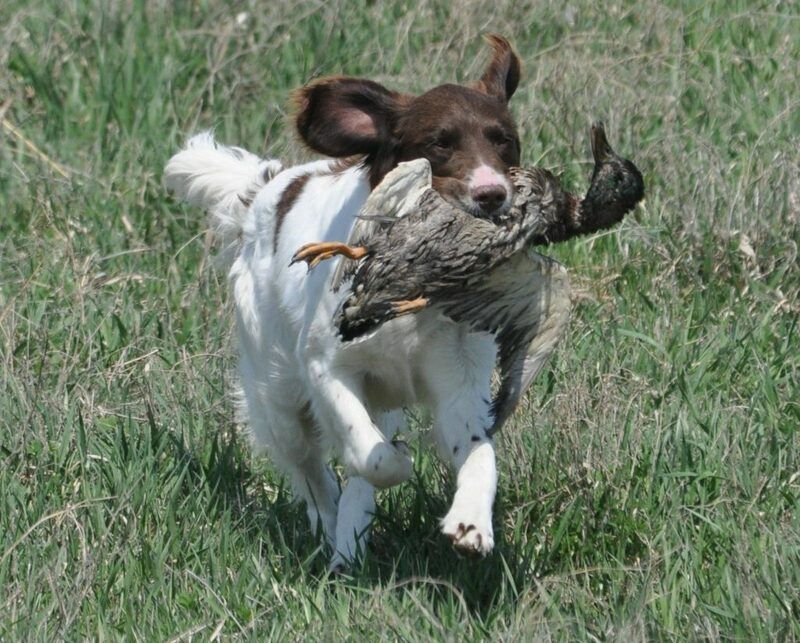 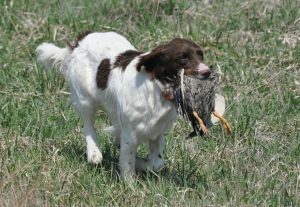 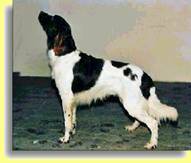 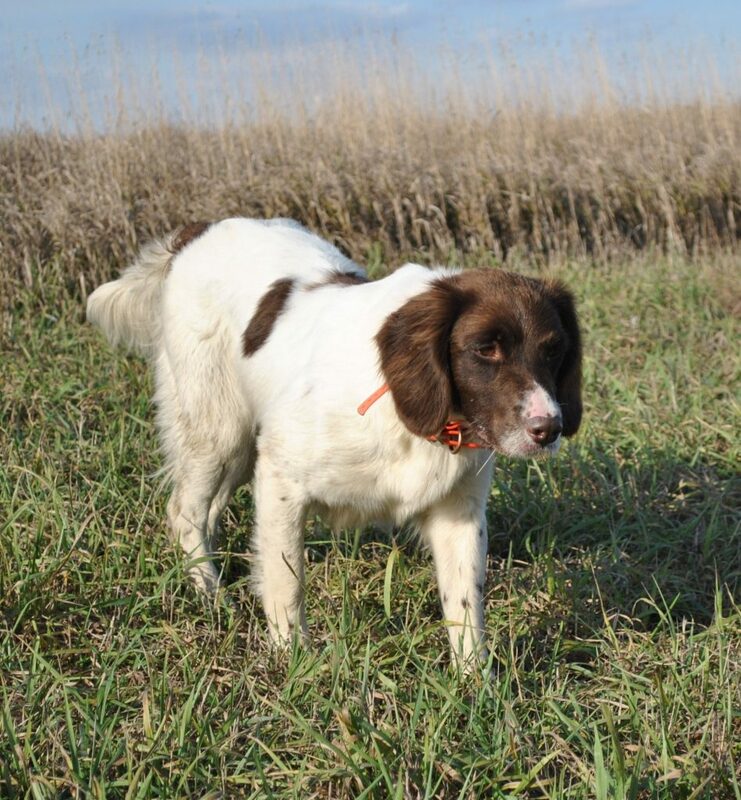 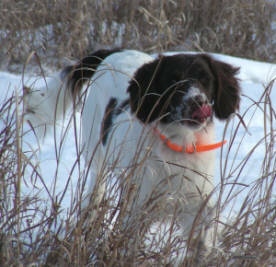 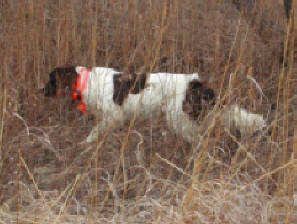 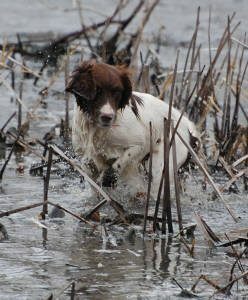 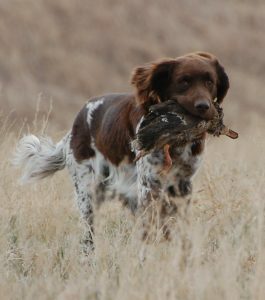 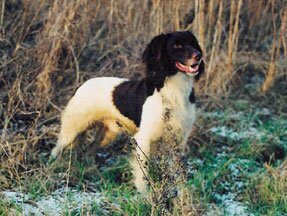 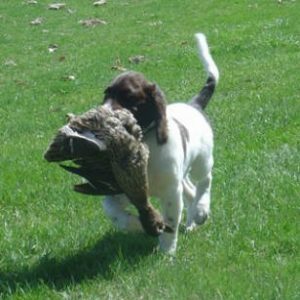 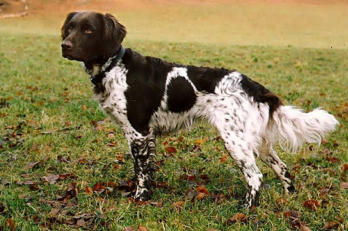 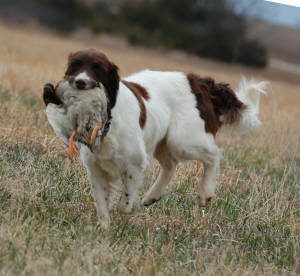 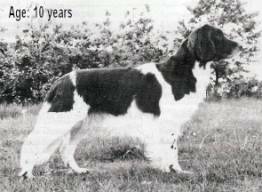 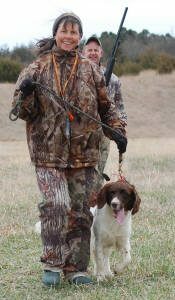 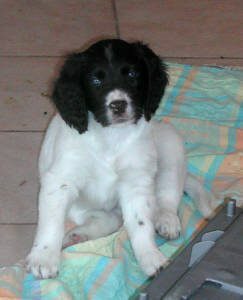 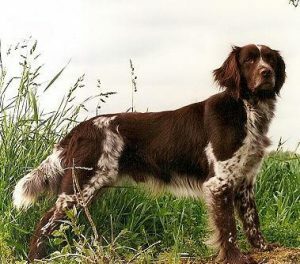 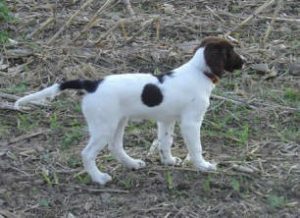 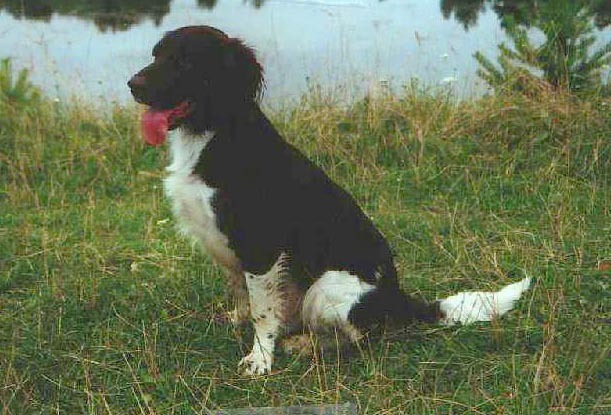 Hunting Hills’ Hemlock (Hemi) is a brown and white male Small Munsterlander born on January 17, 2007 from the Hunting Hills’ Kennel in Brainard, NE. His dam is VC Looses Jaika and his sire is VC Cody vom Apfelbaumbach, whose pictures can be seen on their individual pages. 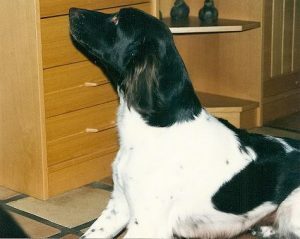 As a puppy he was happy, calm, and even tempered puppy that was a bold quick learner. Hemi has his mothers and fathers staunch intense points, has a very keen nose, and is a reliable retriever as you can tell by his maximum scores in his NA and UT tests. 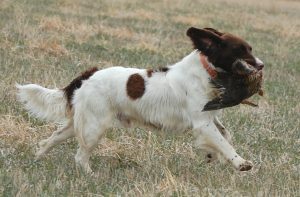 Hemi did not earn a qualifying score at the 2011 NAVHDA Invitational, but he again scored 204 prize I in his 2011 UT test and he scored 196 Pass at the 2012 Invitational.